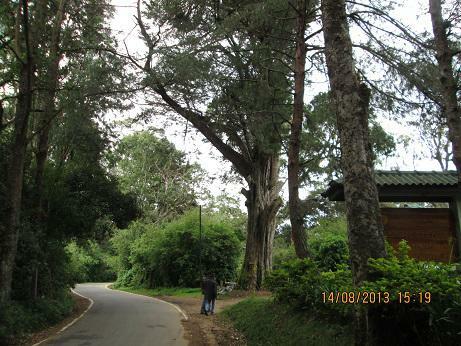 Situated within the city limits of Nuwara Eliya, Galways Land National Park is a small national park but abundant with wildlife. 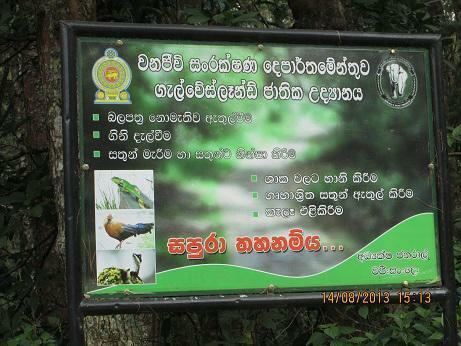 It is considered one of the most important bird watching sites in Sri Lanka and is home to many rare endemic birds such as Sri Lanka White Eye, Sri Lanka Grey Hornbill, Sri Lanka Jungle Fowl, Dull Blue Flycatcher & Yellow Eared Bulbul. It's also home to mammals such as Giant Squirrel, Barking Deer and Wild Boar. 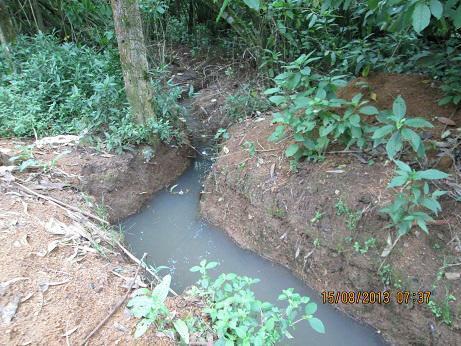 However, a recent investigation by Rainforest Protectors volunteers found out that polluted wastewater from near by line houses are diverted and discharged illegally to the national park. According to some sources, the situation has become worse with the recent construction of a new tourist hotel adjacent to the houses. 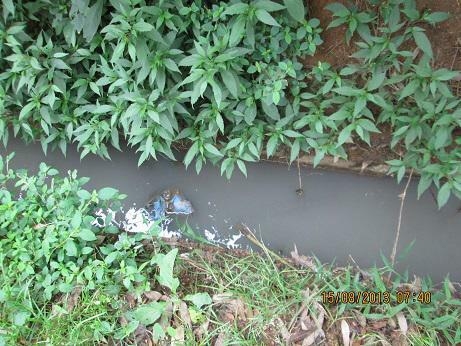 The pollution is clearly evident by pictures taken below on August 14, 2013. There is no proper drainage or wastewater treatment system in place. Visitors to this national park are complaining about severe stench due to the polluted water.